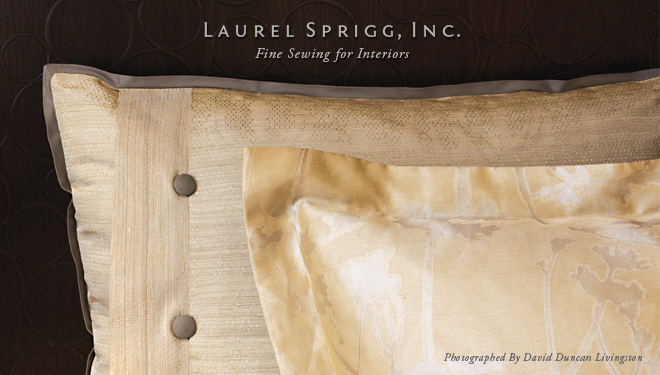 Showrooms > Laurel Sprigg Inc.
Couture quality sewing. Design consultation and fabric selection advice. Job site consultation and measuring. Detailed written estimated. Installation management. Shopping service. Hardware management, motorization of window treatments.